Weatherproof HUBER - stainless steel - manhole cover, round type. Addition: with air vent, with insulation, or with air vent and insulation, with pollen filter, with fixing material and foam rubber gasket 30/5. Application areas: well shafts, shafts at sources, steam ventilation shafts, waste water shafts, sump shafts, cover shafts, etc. HUBER - stainless steel - manhole cover, weatherproof, extra secure to prevent forced access, square type. Addition:with air vent, with insulation, or with air vent and insulation, with pollen filter. Application areas: well shafts, shafts at sources, steam ventilation shafts, waste water shafts, sump shafts, slide shafts, etc. HUBER - stainless steel - manhole cover, weatherproof, extra secure to prevent forced access, round type. Addition: with air vent, with insulation, or with air vent and insulation, with pollen filter. Application areas: well shafts, shafts at sources, steam ventilation shafts, waste water shafts, sump shafts, slide shafts etc. 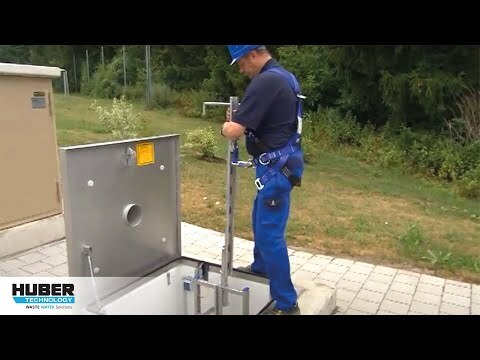 HUBER - stainless steel - manhole cover, watertight up to 1m head of water, square type. Addition: fixing material and foam rubber gasket 30/5. Application areas: als shafts in flooded areas, such as well shafts, shafts at sources, steam ventilation shafts, waste water shafts, sump shafts, slide shafts etc. HUBER - stainless steel - manhole cover, watertight up to 1m head of water, round type. Application areas: als shafts in flooded areas, such as well shafts, shafts at sources, steam ventilation shafts, waste water shafts, sump shafts, slide shafts. HUBER - stainless steel - manhole cover, weatherproof, load bearing up to 15 kN, up to 125 kN, up to 400 kN, certificated as burglar-proof, test load as per DIN 1229, completely made of stainless steel. Application areas: for manholes in walking and driving areas. HUBER - stainless steel - manhole cover, weatherproof, load bearing up to 15 kN, up to 125 kN, up to 400 kN, round, certificated as burglar-proof, test load as per DIN 1229, completely made of stainless steel. HUBER - stainless steel - sliding hatch cover. Forms of application: stormwater holding tanks, underground container, for access to manholes. By shifting the cover there is a large free opening so that access is also possible with ladders. Chiusino SD7 al livello del suolo nuovamente collaudato!